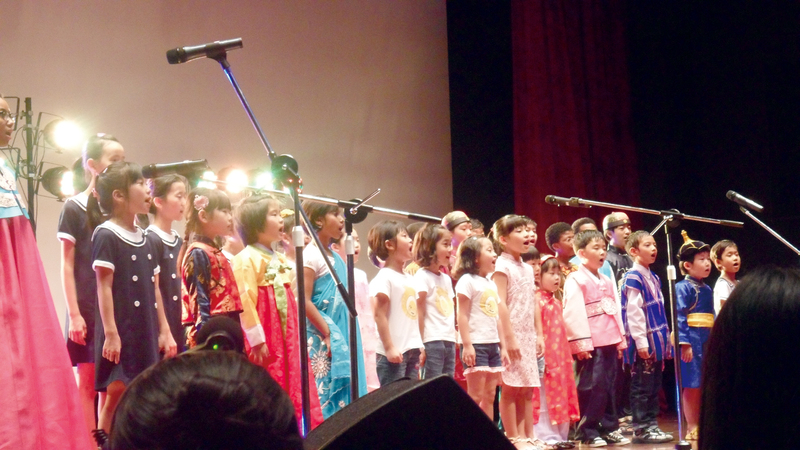 Global Sarang for children of interracial families in Seoul operated by the Seoul Metropolitan Government. A multi-culture community will be formed in Yeongdeungpo-gu as part of the Seoul Metropolitan Government (SMG)’s plan for the formation of 13 such communities in Seoul, such as the one in Daerim 2-dong where about 7,700 Chinese live, including Korean-Chinese, making up about half of the residents. The plan includes the operation of sarangbang (lounges) for people in Daerim 2-dong in consideration of the high concentration of Chinese and the provision of support for the formation of such communities in 12 other areas. The SMG said on May 6 that it would push through a project for the invigoration of multi-culture communities as part of efforts to maintain friendly relations between locals and immigrants. As of 2012, about 400,000 immigrants or 4 percent of the total number of people in Seoul, live in Daerim-dong, Garibong-dong, and Gwanghui-dong. Their number has been on the rise for the past three years. At the current rate, the number will increase to 10 percent of the Seoul population by 2030. Some areas in Seoul have become a favorite destination for visitors due to the high concentration of immigrants. In contrast, some areas have problems due to conflict between the locals and immigrants. The SMG’s plan for multi-culture communities is part of its efforts to solve these problems. In 2013, Daerim 2-dong will be set as a test site for such a plan and, if the results are positive, the sites will be expanded in the course of improvements. The SMG is looking for places suitable for the installation of sarangbang that are easily accessible to both locals and immigrants. As for the other multi-culture communities, a group of three people or more residing in close proximity may apply for participation. Those interested in the program for the invigoration of multi-culture communities may apply for the SMG’s support. The recommended activities include: PR and campaigns aimed at easing the conflict between locals and immigrants; meetings intended to build friendly relations between locals and immigrants; activities that may contribute to the development of local areas; cultural exchanges or village festivities designed to improve conditions caused by prejudices between locals and immigrants; activities aimed at providing information and support for those trying to settle in the local community; and activities designed to find solutions to problems plaguing both locals and immigrants. Those excluded from the SMG’s support are programs already receiving support from government institutions or programs designed for specific political parties or candidates or the propagation of a specific religion. The SMG will provide activity support subsidies of up to 5 million won and expert consultations to the 12 communities that are finally selected through on-site surveys and inspections. Those interested should submit an application to the Seoul Village Community Support Center through its homepage (www.seoulmaeul.org) no later than 6:00 p.m. on May 14. For more details about the program, contact the Seoul Village Community Support Center by phone (02-385-2642) or online. Employees of the center will visit applicants in person to provide an explanation within three days. The Lotus Lantern Festival was held in many places for three days between May 10 and May 12 in celebration of the Buddha’s birthday, which is celebrated on May 17. This folk festival is a tradition started during the Goryeo Period (877~1394) and the Joseon Period (1392~1910) with the purpose of enlightening the darkness of the mind, building a society filled with wisdom and benevolence, and praying for wishes to be fulfilled. Streets were decorated with brightly lit lotus lanterns, and parade participants carried large-sized lanterns shaped like elephants, dragons, and tigers. 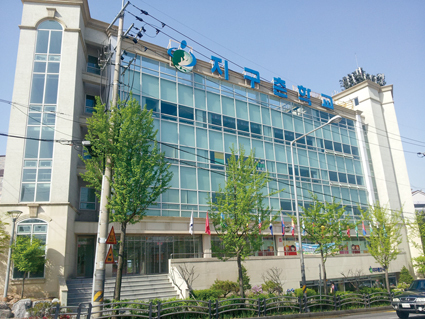 A view of a building where the School of Global Sarang is located in Seoul.